Put sliced ginger in the pot and bring to boil. Let it simmer for 20 min. 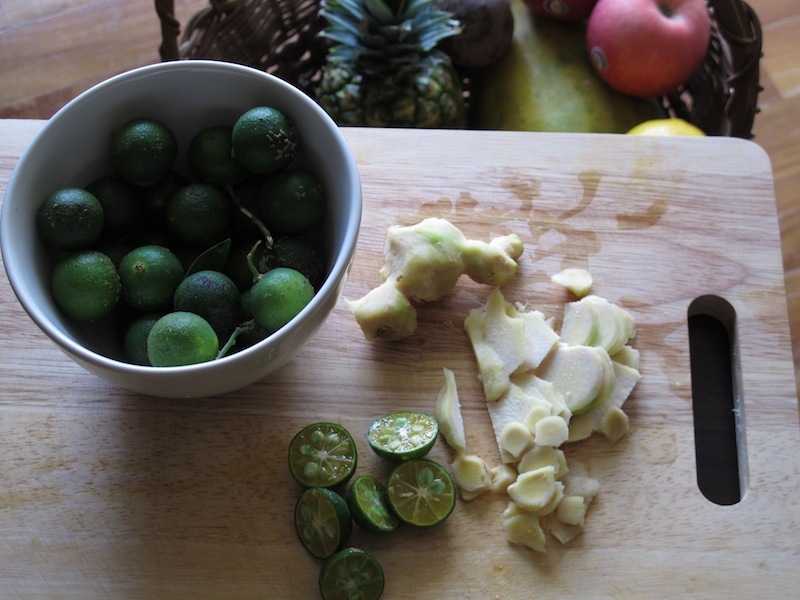 Strain, cool to lukewarm, add calamansi and honey. And the cold and the flu will stay away.